With the momentous missing episodes recovery news of last week The Doctor Who Mind Robber can now celebrate the return of nine episodes. The six part The Enemy of the World is now complete with the recovery of episodes 1, 2, 4, 5 and 6. 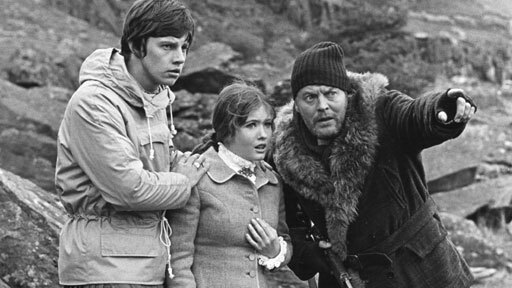 Episode 3 was already in the care of the BBC and was released on the triple DVD set Lost in Time. 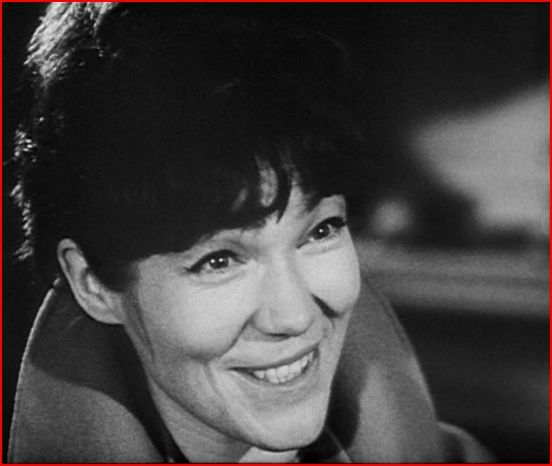 The Web of Fear, also six episodes long, is now only missing episode 3. Episode 1 had previously been released on Lost in Time and episodes 2, 4, 5 and 6 have been recovered. In no particular order we now reflect on 5 Reasons to Celebrate the Return of Enemy and Web. 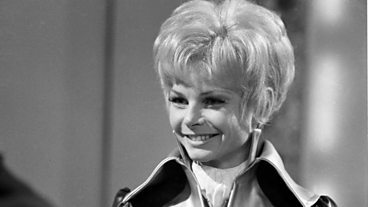 Since the recovery of Airlock (episode three of Galaxy 4) and episode two of The Underwater Menace there have been 106 missing Doctor Who episodes. The return of the aforementioned episodes in December 2011 were the first recoveries since episode two of The Daleks’ Master Plan (Day of Armageddon) in January 2004. With only three episodes returned in the 21st Century prior to 2013, the haul of nine recently recovered episodes brings to a dozen the episodes found this century. For the first time the number of missing episodes is in double figures. How long will it be until there are less than 97 missing episodes? Although Nicholas Courtney appeared as Bret Vyon in The Daleks’ Master Plan, it is in The Web of Fear that his iconic character of Colonel Lethbridge-Stewart made its Doctor Who debut. The Doctor Who Mind Robber has waxed lyrical about the promoted Brigadier here and here. Unfortunately, however, it is the very episode in which Lethbridge- Stewart appears for the first time that is missing from The Web of Fear. Episode three is yet to be recovered however it has been very ably reconstructed by the BBC and has been released with the serial’s other five episodes on iTunes. For the first time since the recovery of all four episodes of The Tomb of the Cybermen in 1992 a complete serial, The Enemy of the World, has been returned to the BBC Archives. Long-term fans still recount stories of the joy experienced when Tomb resurfaced in Hong Kong. There’s little doubt that the recent finds will become part of the mythology of Doctor Who. 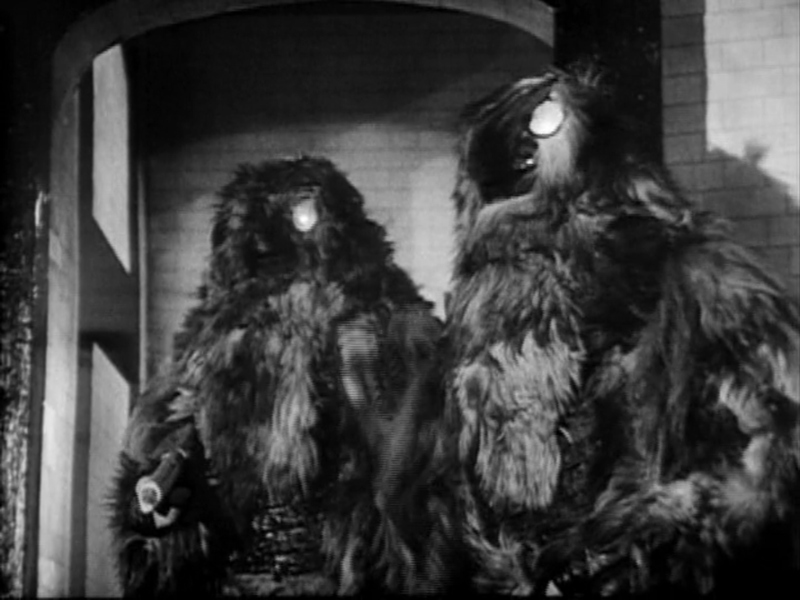 The Yeti have obtained mythical status in the world of Doctor Who despite having appeared in only two serials, The Abominable Snowmen and the Web of Fear. 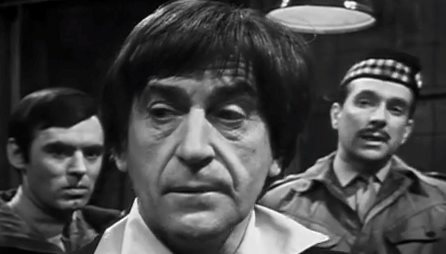 Until the recovery of four of Web’s six episodes only one was held in the BBC Archives. A single episode is all that remains of The Abominable Snowmen. 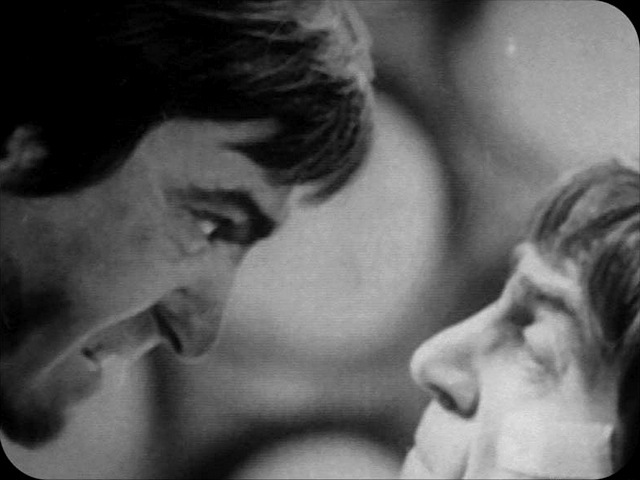 With a reconstruction of the missing third episode of Web and the release of all six episodes on iTunes, fans can experience one of the greatest monsters in 1960s Doctor Who for the first time in 45 years. Now Jon Pertwee’s oft quoted phrase “Yeti on the Loo” may begin to make sense to current era Doctor Who fans. Synonymous with the tenure of the Third Doctor, Jon Pertwee, chase scenes were unheard of during the first two incarnations of the Doctor. Except, of course, for The Enemy of the World. It is in episode one of this story that the first helicopter is seen, together with a hovercraft. A helicopter subsequently made an appearance in the still lost Fury From the Deep, the companion Victoria’s last story. The Enemy of the World was incidentally the first time that the legendary Barry Letts worked on Doctor Who. 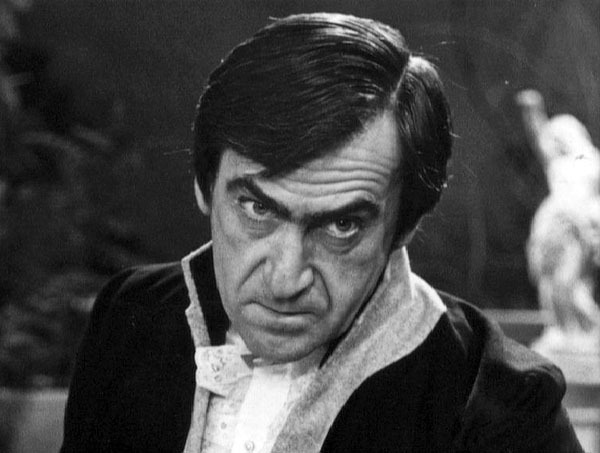 Letts was the producer of Who during the Third Doctor’s tenure. 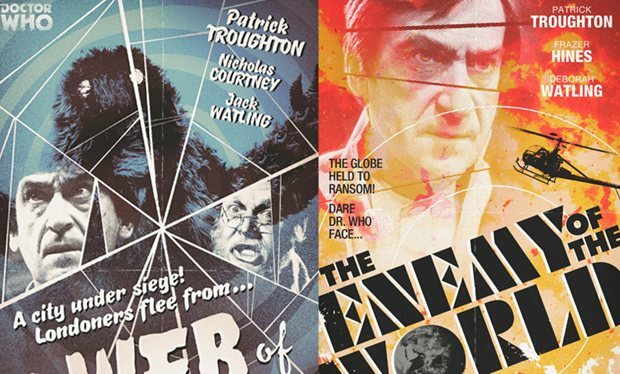 Honorary mention: We now have more Patrick Troughton episodes that exist than were lost! Indeed. That’s for reminding me! 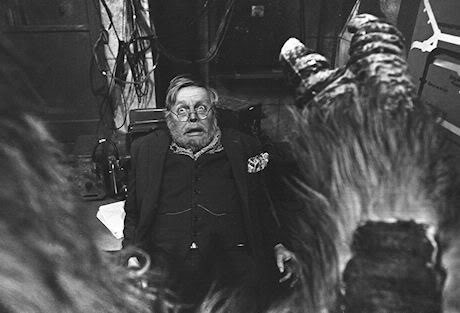 There was the Yeti in the Five Doctors… Briefly. But we all know what you mean. I can’t even remember now how good a look we get of it other than scratching at the rock. I’m waiting for the DVD release. I’m quite surprised there are so many downloaders! I’m the same as you. I’ve downloaded both and will buy them again on DVD. As to the Yeti in The Five Doctors, I must have a look at them again. The Mark 1 variety of The Abominable Snowmen were more cuddly and pear shaped. The Mark 2 of The Web of Fear were more stream line. I just couldn’t stand the wait for the DVD as I was too caught up in all the excitement!